There's a reason why I haven't shared any other parts of our finished basement (other than the guest bathroom & my office nook)--none of them are decorated yet & are looking quite sad. There's only one solution: get decoratin'. Decorating lets the sad out. 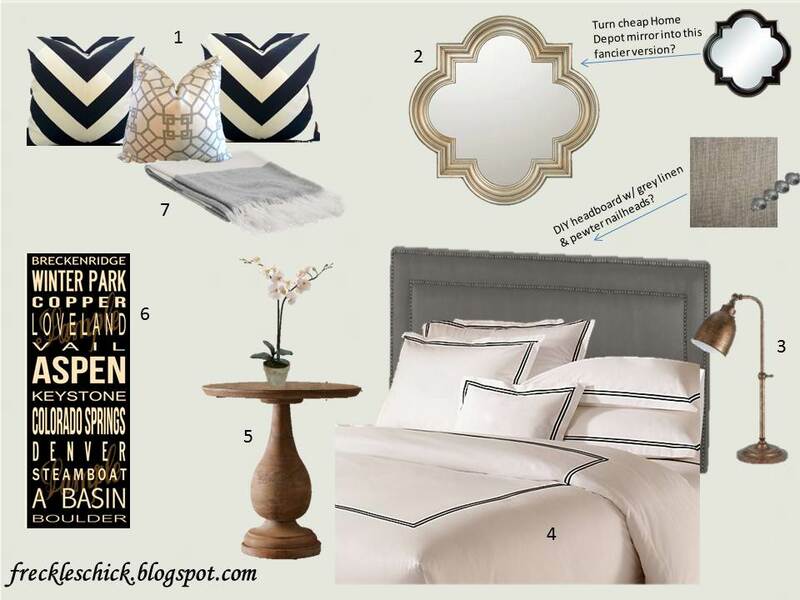 During one of Quinn's naps (in her own crib, thank goodness, though she only power naps for 30 min each time), I threw together an idea board for the guest bedroom. Why? Because it helps me to corral my ideas & see how they work collectively. I had told Mr. FC that all along I was envisioning a "Ralph Lauren aesthetic" (the Parisian flagship store is my favorite) for the guest bedroom. I don't know if I accomplished that but I managed to cobble a mix of styles & metals together: nautical/vintage/Colorado-ness & silver/pewter/aged brass. Mr. Lauren, if you're reading this (which I'm sure you are): Ralphie, forgive me. 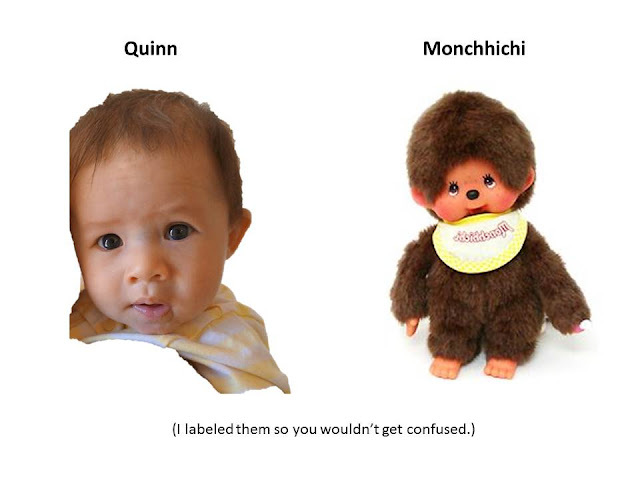 A few weeks ago Mr. FC noted that our child resembles a Monchhichi. I think the resemblance is uncanny/adorable/awesome. Most productive day ever, seriously.